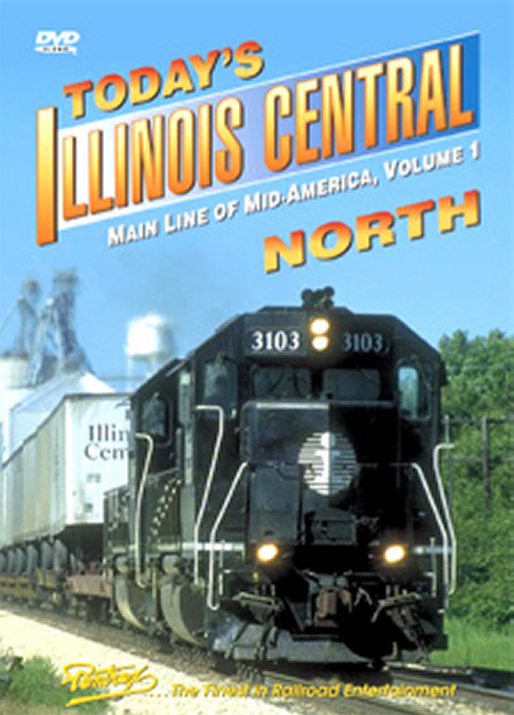 Explore the exciting northern half of the Illinois Central Railroad from the Chicago area to Fulton, Kentucky during the pre-merger days of 1996. Pentrex takes you on a journey down the main line where you'll see locals, switch jobs, through-freights, and fast intermodal trains hard at work. The IC intersected with a variety of other railroads on its southward trek so you'll also be treated to the sight of Union Pacific, Conrail, Norfolk Southern, CSX, and Burlington Northern trains at those diamonds. Train symbols are provided to enhance your understanding of how the Illinois Central fit together as a system. Mile markers, and maps of each district help identify the lines being presented and a rundown of IC's diesel roster explains which types of units were in use. These include GP11s, GP40s, SD20s, SD40-2s, SD70s, and Paducah-built SW14s, SD28s, SD40s, GP10s, and a GP38. Here's your opportunity to experience great action circa 1996 along the "Main Line of Mid-America!" chris collins (fletcher north carolina) on 2015-08-03 07:03:08.
mySP7377 (San Diego, CA) on 2014-02-13 14:54:41. Excellent viewing recommend DVD, Presented in classic Pentrex with great filming, narration, maps and graphics. The IC was one of my favorite roads to railfan and I hated to see it go, I have been to a lot of the locations in this first vol covering the northern part of the IC and its was nice to see some pf these locations again. Theirs plenty of action with everything from coal trains to intermodial trains , Pentrex gives a good run down on IC's deserve fleet of motive in this volume. Great coverage on a road that didn't get as much attention as many other roads did. I thoroughly enjoyed it a great view.